Hotel Management: Is it Really like Zack and Cody? So if you’re anything like me –and by that I mean if you’re a 90’s kid- then your idea of who a hotel manager is and what a hotel manager does stems from watching ‘The Suite Life of Zack and Cody’, am I wrong? A hotel management career to me seemed like having to handle two mischievous little kids as they go about destroying and creating havoc in an otherwise gorgeous and seamless hotel, or handling a haughty rich heiress as she tirelessly scandalises… Yes, my unfortunate understanding of the inner workings of a hotel all came from a television show. In fact, my naïve little outlook on the matter was so pervasive that when I heard of a distant relative going off to a hotel management institute in India –I was rather excited at the prospect of all the glorious adventures she’d get to experience! So you understand my excitement about wanting to know every little detail of her hotel management career. Now, when the reality of the matter hit –you can only imagine just how devastated I was! Meetings? How boring! Where are the wild goose chases hunting for naughty little boys! Bah, what an utter disappointment. But, as I soon learnt, though there weren’t a couple of twins running amok, hotel management does actually have a lot of interesting things going on! From meeting people from across the globe, interacting with new people, learning about new cultures, to the late-night camaraderie fun and frolic, the easy access to mouth-watering 5-star gourmet delicacies and what not, hotel management really was as interesting as I’d thought it to be –just a tad less television and a lot more realistic! 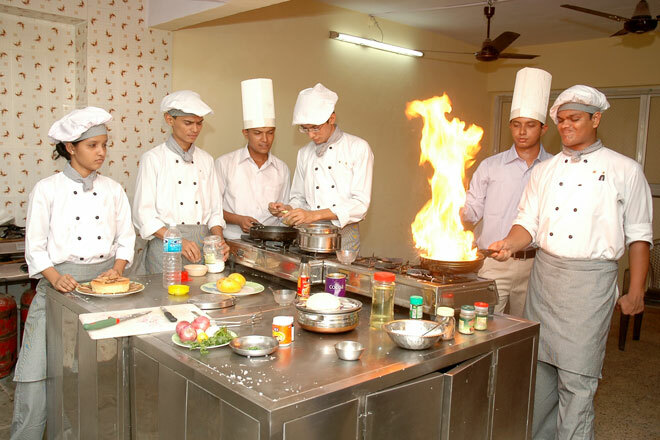 So, while my understand was wildly contorted, it wasn’t actually that far from the truth –going to a hotel management institute in India is now totally worth it in my head!